In simple terms…you owe more on the property than it’s worth. A short sale occurs when a property is sold and the lender agrees to accept a discounted payoff. This means that the lender will release the lien that is secured to the property upon receipt of less money than is actually owed. Example: You have a mortgage of $300,000 but the home is only worth $250,000. You are “short” $50,000 (not including fees, title/escrow, commissions, etc.) The $50,000, plus fees and commissions, are paid/absorbed by the lender in a short sale. Do I have to pay a Realtor to complete a Short Sale? No. 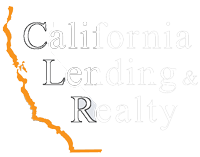 You DO NOT have to pay the Realtor who is going to help you…your lender will do that for you. The lender has not been receiving monthly payments on the money it has lent you. It will take a few more months to foreclose on your home. That means a few more months of the lender not receiving monthly payments and incurring other holding costs. When they do finally take over your property, they will have to pay the realtors a commission when they sell it. We are not only helping you avoid foreclosure with the short sale, but also helping the lender by selling the property several months before they typically would. That is why your lender will pay the Realtor fees for you if you complete a Short Sale. I have two loans on my home, can I still do a Short Sale? Yes. 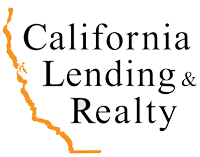 We will work to obtain Short Sale approval letters from both lenders. My property is damaged, can I still do a Short Sale? Yes. We will sell the property “AS IS”. You will not have to fix it prior to selling it. Can I do a Short Sale if I’m already in the foreclosure process with my lender? Yes. Generally, we can get the foreclosure/auction date postponed if we have a willing and qualified buyer with a signed contract. Will I receive money for completing a Short Sale? Typically, the seller does not receive any funds when completing a Short Sale. However, there are many cases in which the Short Sale Lender will allow “relocation assistance” (usually $3,000) to help the seller move from the home at the close of escrow. In some cases, the Short Sale Lender will offer home owners cash incentives to complete a Short Sale. These cash incentives are normally initiated by the Short Sale Lender. Can I live in the property during the Short Sale process? Yes. The Short Sale process often takes a few months to complete. Most sellers stay in the property until the close of escrow. Who should I talk to BEFORE I decide to do a Short Sale? We strongly advise all of our clients to consult a real estate lawyer and/or tax professional prior to initiating a Short Sale. Are all Short Sales automatically approved by the lenders? No. That is why it’s critical that you use an experienced Short Sale Specialist to help you through the process. We are San Diego Short Sale Specialist here to help you avoid foreclosure and save your credit. 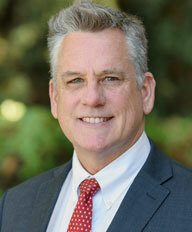 Please give Michael Thomas a call (619-286-9400) for a FREE consultation. Or Apply Now for more information.